Parents want the absolute best for their children, and occasionally this means breaking from the mould of tradition and instead opting for new, innovative methods. From preparing them for a better future where they can achieve all their dreams with ease, to simply taking an extra step that will help them if their health ever takes a turn for the worse, here are the top three innovative ways all expecting mothers can start to prepare a bright future for their child. In terms of scientific innovation, stem cell research takes centre stage. This research has led to massive breakthroughs in recent years, and is considered to be the key to long and even lasting life. To help give your child the best chances of success, you need to store these stem cells as the start of their life. The process is incredibly easy, and the peace of mind is priceless. All you need to do is visit https://biovaultfamily.com and read up on how you can enrol in this program today. Children can learn at a very young age. In fact, everything around them – every stimulus, every word, every life lesson – they are absorbing like a sponge. You can take advantage of this and even help their learning development by enrolling them in fun skills classes. There are two main ones that your child can benefit beginning from a young age. The first is to learn an instrument, the second another language. 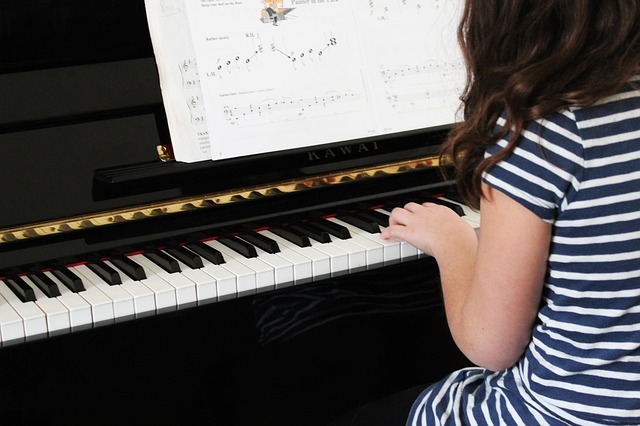 Learning an instrument will help them focus, keep time, and learn a plethora of other key skills. Music has long been used in cognitive and developmental therapy, and can be particularly useful for children who are less talkative or who live with an autistic disorder that makes communicating difficult. Then, there are languages. Even if your child does not necessarily master the language or become fluent, it is critical that they learn how to pronounce all of the sounds. This way, if they do fancy taking the language up again later in life, they will be able to pronounce the words correctly without difficulty. If you keep up with their lessons, however, then they could become fluent in that other language with ease. In the future, this will make learning languages easier, make them more hireable, and just generally better able to get around the world. Another way to benefit from your child’s propensity to learn is through educational games. To an extent, nearly every toy and children’s programme out there is designed to teach children a lesson of some sort. Just take this one step further and help them understand the basics of coding instead. There are plenty of toys out there right now that can help them understand the basics of how computers work. Introduce them to these concepts early, and you can help them be literate later on in the most global language there is. When expecting, mothers aim to do everything that they can for the health of their baby. They eat right, they exercise, they stay away from drugs and alcohol – they do what they need to so that their baby can grow as healthy as possible. Don’t let these habits go to waste, and instead follow up on those habits with these great innovative methods.